Timothy Bell Fitness - How Fitness Was Meant To Be! 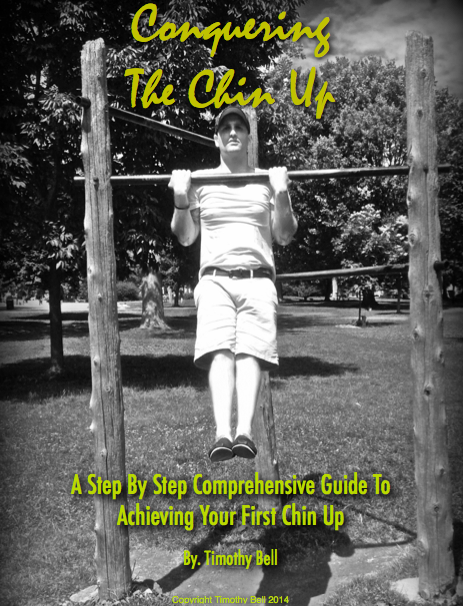 : Ancient Training Methods For Great Results! 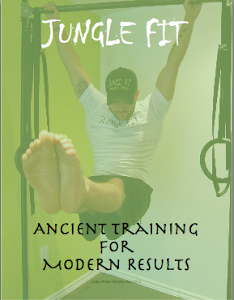 Ancient Training Methods For Great Results! Our world is full of new "fitness experts" coming out with new fitness machines (to gain a quick buck) that do nothing for you but act as an expensive coat hanger. And how about all those diet pills claiming to give you that wash board stomach you've always wanted, but are really so dangerous/ineffective you might as well go drink a concoction of cleaners you find under your sink! Yet we've been lead to believe that if we don't purchase this diet pill, or make payments for this confusing pulley system, we'll be stuck broken down and out of shape for life! So what is a person to do? Even if you're looking to get into the best shape of your life, switch up your workout routine, or just get moving again ... in my humble opinion it is always best to look to our past for answers! Lets start with this, we've been evolving for 2 million years, cavemen were fit, well muscles, had low body fat percentages, and great bone density! So forget all that crap about diet pills, home gym systems, and any other infomercial garbage. The first step is to adopt a caveman diet consisting of meats/animal products, veggies, fruits, nuts/seeds and healthy fats! Cut out the grains, processed foods and other garbage and you're body will change for the better. As I said we've been evolving on foods like this for 2 million years, we've only been farming for 10 thousand ... something has got to give right there! 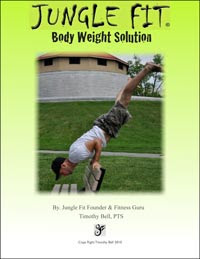 Secondly, take a look at body weight training. It's a skill that lasts you a life time and costs you nothing to use! On top of that body weight exercises can be done anywhere at any time with little to no equipment except for you and the ground beneath your feet. On top of that it's a time tested superior option for strength and conditioning. This can be seen by it's use through history by every single physical force from the Spartans, with their world wide reputation for being one of the most physically dominant armies to ever live, to Hindu Wrestlers that dominated wrestling during the 19th century! The Spartans were seen on many occasions preparing for battle with what their enemies thought was just a ritual dance of some kind, but was actually early calisthenics consisting of exercises such as burpees and joint mobility. Hindu wrestlers are well known for their use of body weight training as the centre for their wrestling conditioning, making use of Hindu Push ups or Hindu Squats in very high reps, sometimes into the thousands! You don't need to be a wrestler or part of a great army to reap the benefits of body weight conditioning, even if you're a busy mom with 3 kids I would urge you to learn at least the very basics. How about a little external resistance? Tired of using those machines at the gym or just want to try something a little different than the regular bar bell or dumbbell? Why not pick up a Kettlebell (its origins date so far back they're unknown) so popular through Russia with their military and Olympic athletes to develope superior cardiovascular conditioning and muscular endurance. Or perhaps you could try a Macebell, used again for countless centuries by Hindu Wrestlers to develop brute strength and a steel strong torso! Kettlebells can provide a dynamic element to your training blending both cardio and strength training into one workout while promoting active recovery. The Macebell is excellent for shoulder mobility, core strength, and high levels of muscular endurance. The Macebell can also double as a sledgehammer for sledgehammer work! 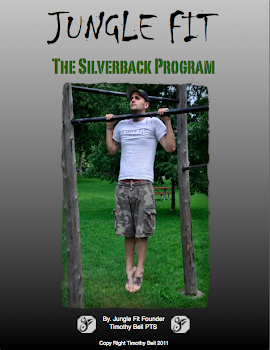 Each tool requires a certain level of technique, skill, and fitness level to begin using them (again why I say learn to move your own body weight first!) so make sure to get a certified trained professional to teach you how to use both. I'm sure all this is sounding pretty good right now, or maybe a little sensational. So lets look at two standout examples of what training using techniques from the past could do for you! Eugen Sandow (pictured above), a strong man of the early 19th century built what is still considered one of the most astonishing, sought after physiques without the use of a bow flex, supplements, or even steroids! Not only was Sandow a sight to behold, he had the strength to match being able to press 269lbs in one hand! Did I mention he was only 5'7 and about 180lbs. 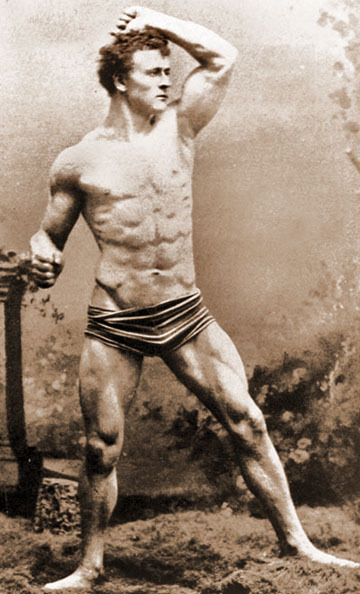 Sandow built his body using old tried and true methods, heavy lifting, barbell training with basic lifts, kettlebell work, and a clean diet! 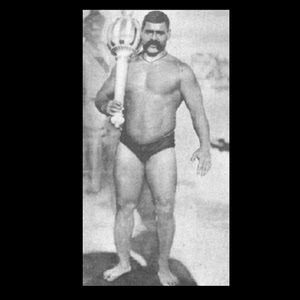 Or how about Indian wrestling legend, The Great Gama. The worlds greatest wrestler of all time, undefeated in over 5000 matches, defeating most opponents in just minutes, and standing 5'7, weighing 225lbs of thick muscle and power. Gama built his impressive physique through years of body weight training, mace swinging, and wrestling practice, he was even said to have done 10,000 Hindu push ups each day! Again, no fancy machines, no fad diet, just a whole lot of functional body weight training and hard work! Outstanding results have always come from a solid foundation in body weight conditioning, lifting heavy, and some high intensity training. It can be seen through out history, and history doesn't lie. Sometimes its a good thing to take a step back (in time) to take two (or more) steps forward! The video link posted below is an excellent body weight and Macebell conditioning circuit using techniques such as the ones talked about in this post. Try it for yourself! Click this link to view the workout! You do not need to buy any books to learn about the diet. And you certainly don't need to buy a special cookbook. All information is available free on the web. You simply have to learn which foods are in, and which are out. The foods you buy will generally be single ingredient foods. I've been paleo for 14 years. I only buy two foods that have more than a single ingredient: Larabars and not totally paleo So Delicious Original Coconut Kefir. A few months ago I spent a bit of time and worked up a definition of the paleo diet and the several variations on it that are out there. You can find it here: Paleo Diet Introduction. Uhhh.... I'd hate to be the one to kill the fantasy, but Sandow did use supplements.. cocaine was used as a medicine (painkiller) and a supplement in Sandows days.. itnwas used as a fat burner and Sandow did use coke to keep his body fat low... sorry, but I'm just saying.. Yes, there is the possibility Sandow may have used cocaine (which was legal at the time) to enhance his workouts. But, this is speculation I haven't been able to find any concrete evidence yet. If you find any 100% evidence please feel free to share. It's always fascinating to see what was once legal and thought to be healthy but is now known to be the exact opposite. Makes you wonder what the supplements of today might contain that we don't fully understand yet! Anyways, Sandow's physique is still unbelievable for a guy who had no access to steroids and used old fashioned methods of training. Proto-col Slim-Fizz is a unique appetite suppressant which contains the groundbreaking fibre Glucomannan, which is an organic dissolvable fibre derived from fresh Konjac. New Diet Taps into Innovative Plan to Help Dieters LOSE 20 Pounds within Just 21 Days!